Casa Particular in Cuba or Hotel? As an American we often wonder whether we should choose a Casa Particular in Cuba or Hotel for our stay. This will depend entirely on both your budget and the type of experience you wish to have. Below is some candid information to help you choose either Casa Particular or Hotel in Cuba. 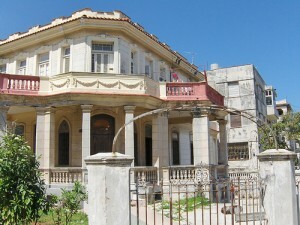 Casa Particular in Cuba or in English Private House is an option of accommodation pretty much exclusive to Cuba. No American would ever even dream of going to the Cayman Islands, Cost Rica or Mexico to stay in the bedroom rented out by the home owner. Somehow, in Cuba, this has become more tolerable and almost acceptable. Why this is the case we have no idea but, there are certainly plenty of Casa Particulars to choose from in Cuba offering varied levels of comfort. One Room offers – These are typically one bedroom in a Cuban Families home. You must access the bedroom through the normal house and thus have constant contact with the owners. Privacy is minimal while in your room and there´s always the feeling of being watched over. However, if you don´t care about this and are simply looking to get some sleep, then these are the cheapest offers around. Expect to pat between 15 and 30 CUC per night for this type of accommodation. Multi-room Private house – Some Cubans have more than one house. For example, a couple marries and both had a property prior to the marriage. Often times they will rent one property out as a casa particular but, in these cases, it is a complete house or apartment rather than the previously mentioned sharing option. These properties can cost significantly more due to the enhanced privacy provided and usually more rooms available. Expect to pay a premium for this type of property, around 60 CUC for a one bed and a further 60-70 for each extra room. Usually these properties have a phone installed which can save you money on communication costs. Some entrepreneurial Cubans have built impressive properties or modified existing Villas for “foreign use”. The taxes payable to the Cuban state on these properties to be able to rent them to foreigners are quite high and can exceed the 800 CUC per month. Therefore, as the saying goes, you get what you pay for and a private villa in, say Miramar, Playas del Este or on any beach in Cuba will cost you around 400 CUC per night. Some of these properties are amazing however and would cost 1000´s if they were anywhere else but Cuba.